Moyosore is a first class litigator. In recognition of his excellence in this regard the Legal Practitioners Privileges Committee, chaired by the Chief Justice of Nigeria, the Hon. Justice Aloma Mukhtar GCON conferred Mr. M.J. Onigbanjo with the rank of Senior Advocate of Nigeria on 23rd September 2013. 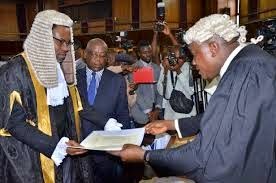 Mr. Onigbanjo was appointed by the Nigerian Bar Association in July 2012 as a prosecutor of disciplinary matters before the Body of Benchers and the Legal Practitioners Disciplinary Committee (both of whom are statutory bodies). Mr. Onigbanjo offers his services pro bono in this regard. 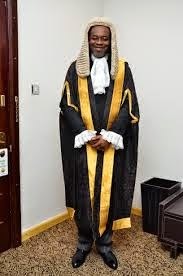 In recognition of his wealth of experience in commercial law practice Mr. Onigbanjo was appointed as a Council Member of the Nigeria Bar Association’s Section on Business Law (www.nba-sbl.org) on 30th March 2011. Mr. Onigbanjo is also a member of the National Executive Committee of the Nigerian Bar Association (www.nba.org.ng, www.niegerianbar.org). Moyosore has vast and considerable court room experience in commercial litigation particularly in the areas of Debt Recovery, Breach and Enforcement of contracts, Companies Winding Up Proceedings, Aviation, Receivership, Marine claims, Arbitration and Oil and Gas. He has for the past twenty-three years participated extensively in commercial litigation in Nigeria. Moyosore is a member of the Nigerian and International Bar Associations and on the 31st March 2001, He was appointed a Notary Public. e Court of Nigeria. He also has experience in labour matters and has practiced before the National Industrial Court as well as the Miscellaneous Offences Tribunal. Over twenty-two cases handled by Moyosore have been reported in Nigeria’s foremost law reports (Nigeria Weekly Law Reports). Mr Onigbanjo is also a keen golfer.